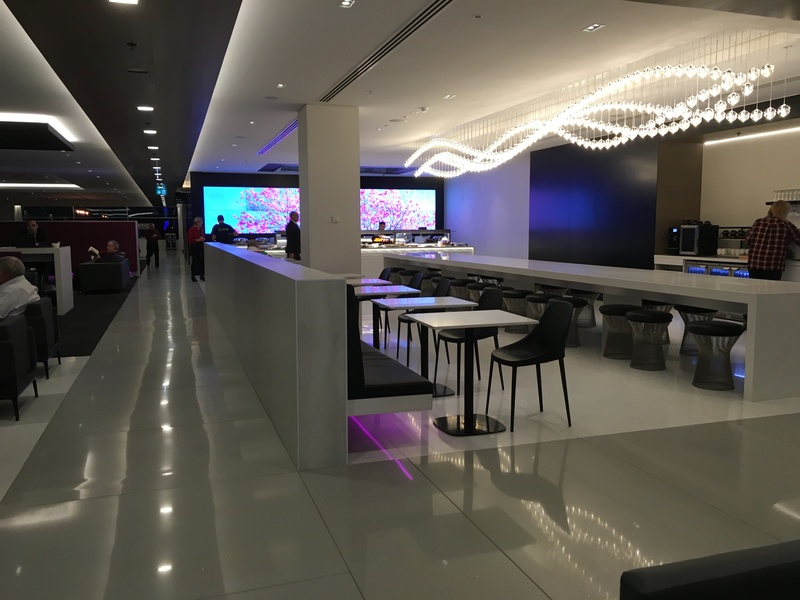 Recently renovated, the gorgeous and slick new lounge is probably the best of its category in Sydney Airport. With enormous room, plenty of facilities and options and a soothing environment, it serves the airline very well. 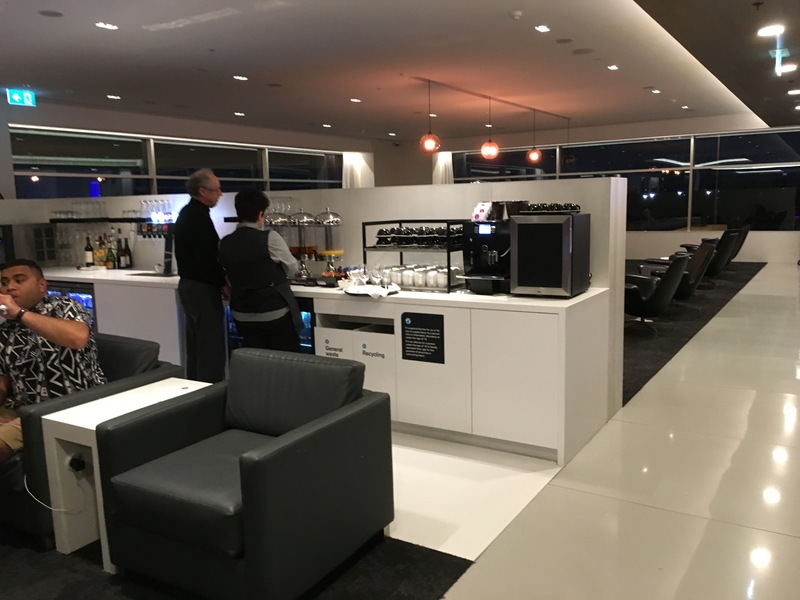 Access is granted for Air New Zealand Business Class and elite members, as well as Business Class passengers of airlines that use this lounge (will be specified by your carrier). 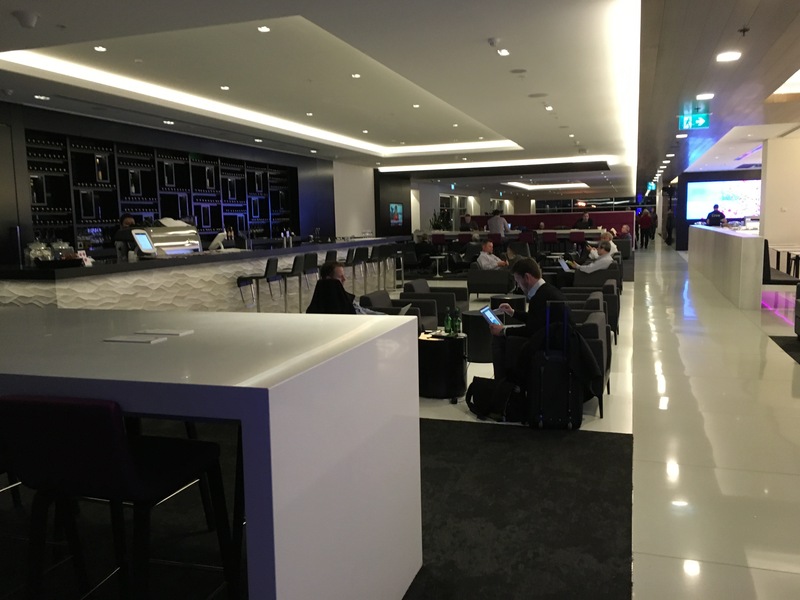 As a Star Alliance lounge, a Gold member travelling any Star Alliance airline will be entitled to enter this lounge. 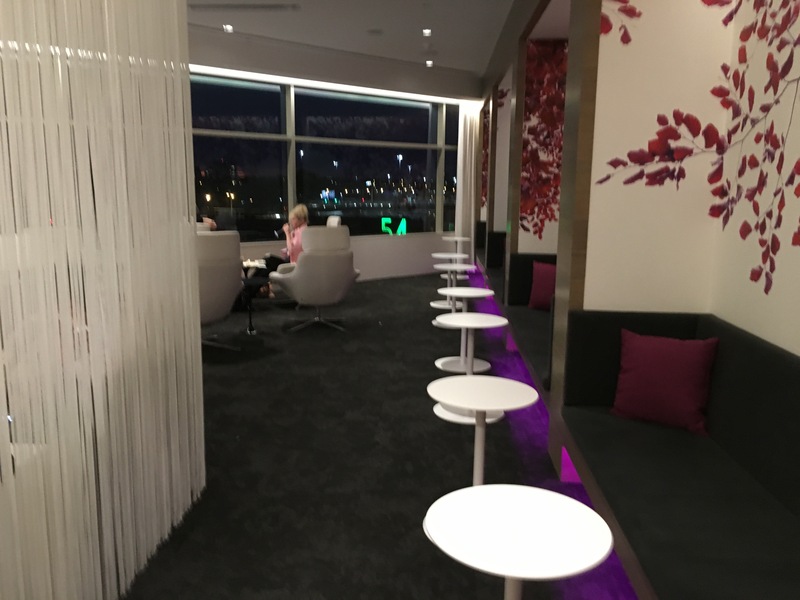 The newly renovated Air New Zealand lounge in Sydney offers a chic and tranquil environment for resting or being productive before a flight. 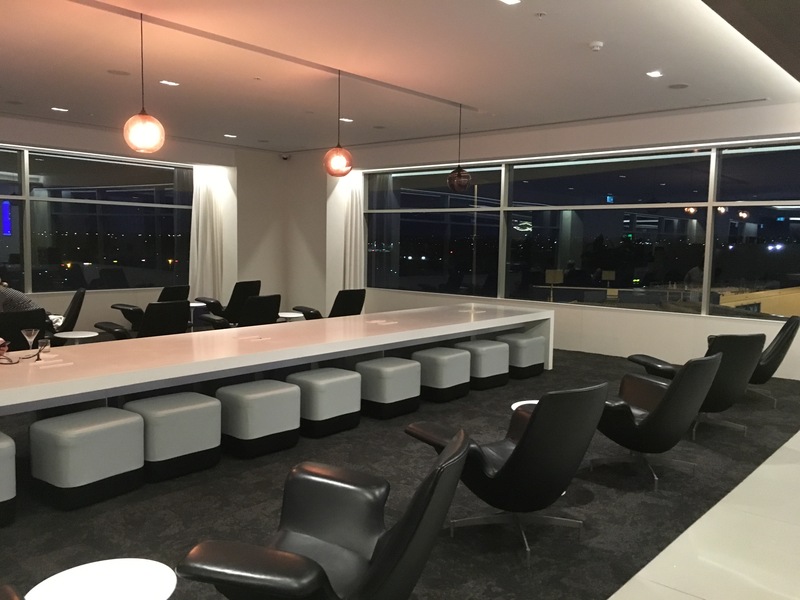 The lounge has been built in a very large, open space with ample seating, given the fact that many carriers codeshare this lounge. A staff member warmly greets passengers at the entrance, and a simple scan of the boarding card grants you access to the lounge. 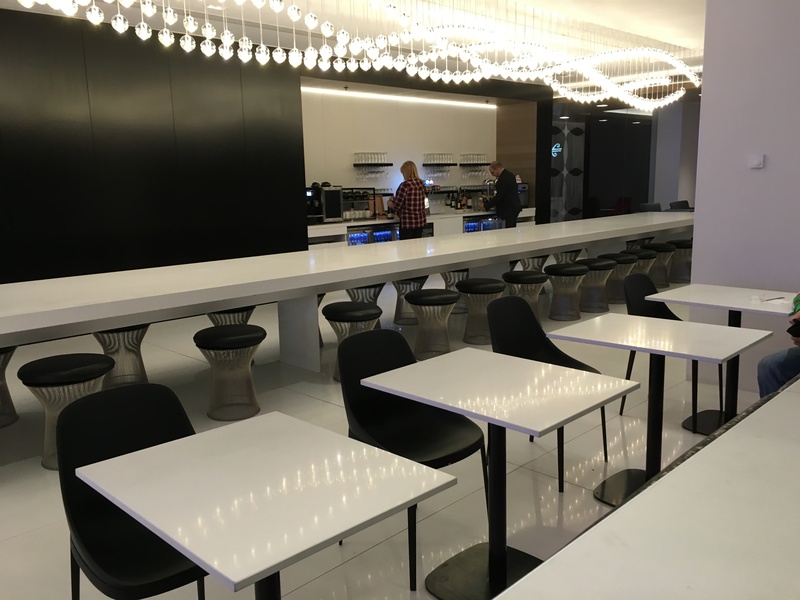 Once inside, there is one major seating area with separated zones, laid out either side of the fully tendered bar. The bar offers wide range of drinks and freshly prepared cocktails. Opposite the bar is a comprehensive buffet spread, with soft drinks, coffee and plenty of food. There is a more formal dining area here as well. 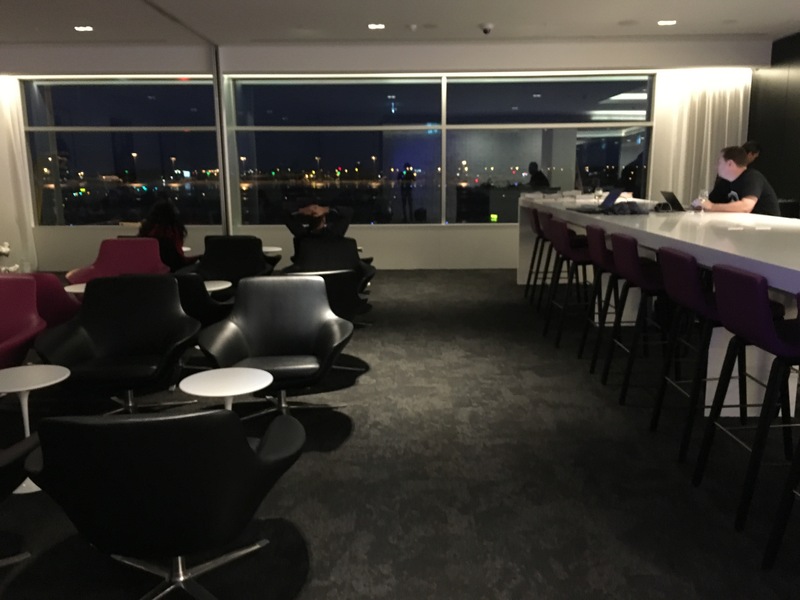 Toward the far end of the lounge is a more secluded area, with privacy screens and rest areas, as well as TV screens, and views of the tarmac. 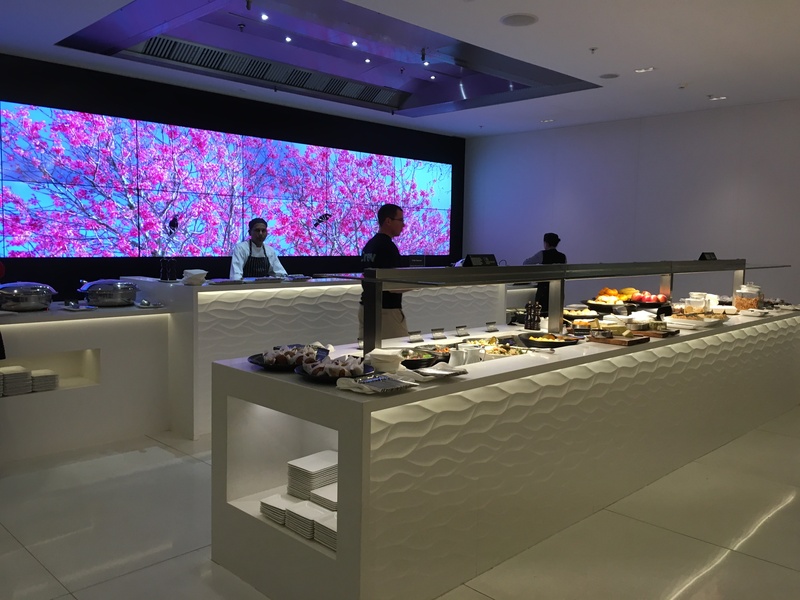 This area is also separated by another smaller buffet and self-service bar. 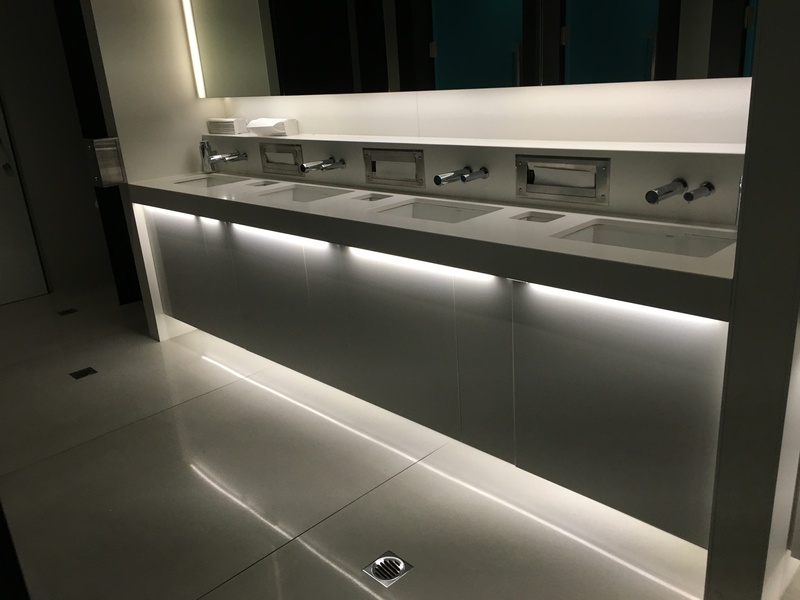 The bathrooms are very stylish with slick under-bench LED lighting, and a calm and soothing atmosphere. 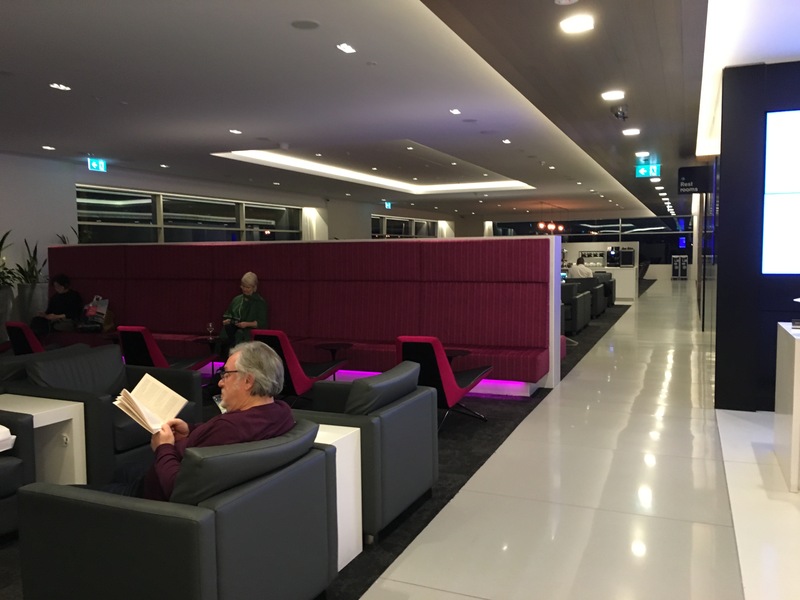 The new lounge is a massive step up from the old lounge which was in dire need of repair. 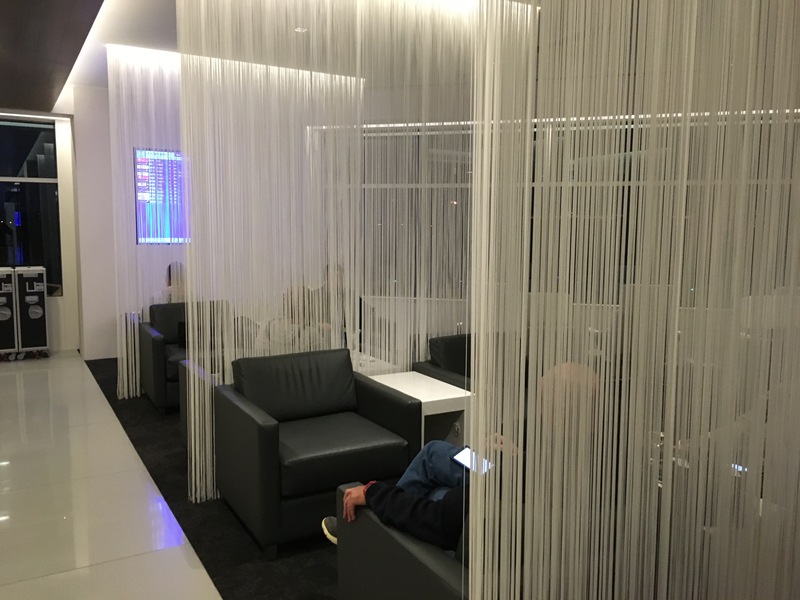 The soothing and contemporary environment is certainly up to scratch, or even ahead of modern lounge standards, and will serve the airline well for many years.